Study Fine Art at Birmingham City University - Which? Obtain a minimum of 24 points overall. Students who do not complete the IB Diploma and who achieve the minimum of 10 points or above from two Higher Level Subjects will be considered on the basis of their IB Certificates. Pass the Irish Leaving Certificate with a minimum of 48 tariff points, achieved in four Higher level subjects. Must be offered along with either one A-level OR a one 6-unit BTEC Subsidiary Diploma/ OCR Cambridge Technical Introductory Diploma or a BTEC 12-unit National Diploma/ OCR Cambridge Technical Diploma. Achieve a minimum of 48 tariff points achieved in either three Advanced Highers or from a combination of two Advanced Highers plus two Highers. Where three Advanced Highers have been taken achieve minimum of grades DDD. Where a combination of Highers and Advanced Highers have been taken you must achieve (grades of DD in two Advanced Highers plus grades of DD in two Highers). Achieve a minimum of 48 tariff points achieved from either five Highers or a combination of two Highers offered with two Advanced Highers. Where only Highers have been taken a minimum of (DDDDD) are required. Where a combination of Highers and Advanced Highers have been taken you must achieve (grades of DD in two Advanced Highers plus grades of DD in two Highers). This course prepares you for a career in fine art, as well as offering direct entry to the second year of a related full degree course after you’ve successfully finished it. 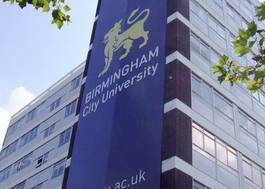 Delivered at our highly respected partner institution, Birmingham Metropolitan College, you’ll also be able to take advantage of all the benefits of being a student of Birmingham City University. Across both years of this HND course in Fine Art, you will develop your creative skills and be fully prepared for further study or employment. Our Business and Professional Practice modules give you a genuine feel for the reality of working as an artist, and will equip you for the challenges of a professional and successful career. 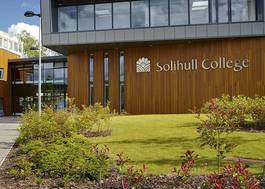 Our full degree graduates include award-winning professional artists, art therapists, curators, teachers and professionals within Birmingham's thriving creative industries sector.